In this post, I’ll tell you about the 10 best hostels in Edinburgh City Centre, where you can have a pleasant stay without paying a fortune. Sometimes Edinburgh can be frustratingly expensive, especially during the high season. Almost nobody comes during the week in November and most of the hotels are empty. Thus, you can book a room in Ibis for as low as £35 per night. In summer, however, everything is fully booked and the places, which aren’t fully booked, are obscenely expensive. I decided to compose a list of 10 best hostels in Edinburgh (by people’s votes and reviews), so you know, where you can stay in Edinburgh on a tight budget. In case you’re also looking for budget tips for Edinburgh, feel free to check this post! Or maybe you want to learn about 15 absolutely free things to do in Edinburgh? – Head to this post! 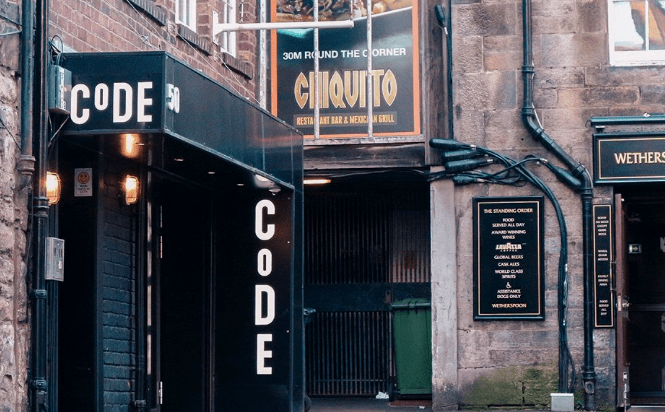 Code Pod Hostel Edinburgh is an absolutely best-rated hostel in town (just look at this impressive 9.3/10 on Booking.com – not many 5* hotels get such a high rating). 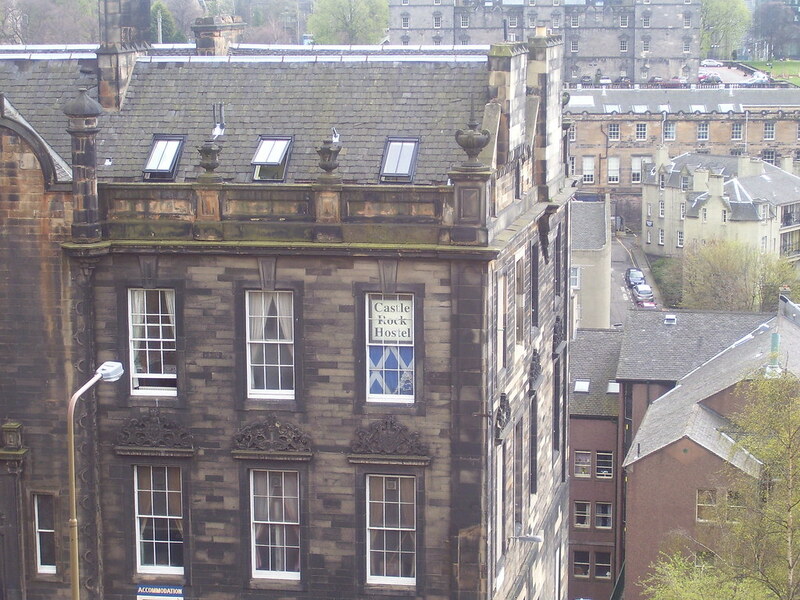 The hostel is located on Rose Street, and it’s really close to the Princes Street – the main street of Edinburgh. The train station, Waverley is just 10 minutes walking away and the majority of attractions (in the Old Town) are not more than 15-20 minutes walking. Staying in this hostel, you basically don’t need to spend anything on transport, as you can walk basically anywhere from here (except for the airport, though, if you REALLY want, you can walk to the airport too, it’s not that far away). Code Hostel offers a bed in dormitories with 4-6 people (mixed, male or female) and some private rooms as well as a family room for 6 people with 6 bunk beds. Also, a great breakfast is included in the price. It’s very often sold out, so check the availability now! The Baxter Hostel also has an impressive rating and great location – it’s almost on Princes Street – the main street of Edinburgh and it’s just 2 minutes away from the main railway station of Edinburgh – Waverley. 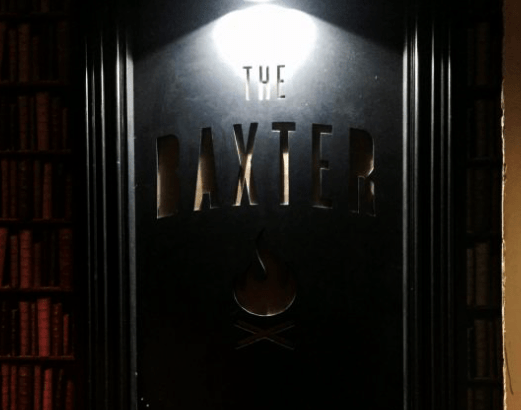 What is impressive about the Baxter Hostel is the interior design of the lobby – it looks great and really stylish. It’s not a surprise because Baxter is a boutique hostel. It also has a great breakfast included in the price and has beds in 6, 9 and 12-bed dormitories available. Some are mixed, some are female-only. The prices off-season, for example, in October, could be as low as 22-26 pounds per night (which is a great price for this hostel and such an amazing location). Another one of the best hostels in Edinburgh City Centre is The High Street Hostel is located on the High Street (as you can guess) in the Old Town of Edinburgh, very close to all the attractions like Edinburgh Castle or the Royal Mile. It has very simple, clean and nice dorms for a very affordable price. The cheapest beds you can find in 18-bed mixed dormitories (they can be as low as 12-16 pounds per night slightly off-season), but there are also beds available in female 4-bed dormitories. 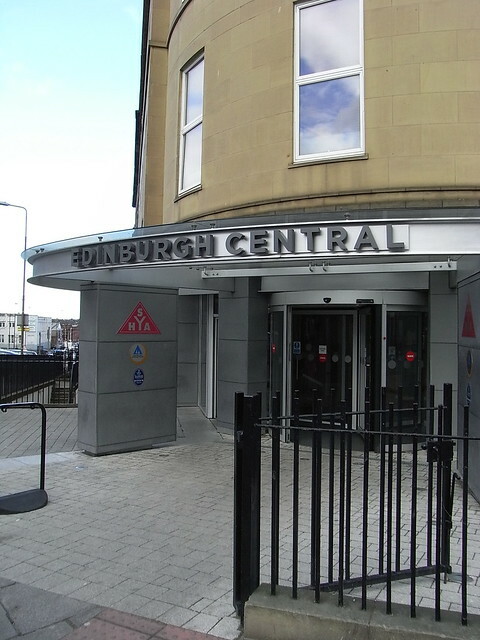 Edinburgh Central SYHA or Youth Hostel is located on Elm Row, 7 minutes walking to the city centre. The hostel is very clean and tidy and had beds in dorms available as well as the private rooms. There are beds in male and female dormitories and the most common option is a dorm for 6 people. The breakfast is not included in the price and would cost you extra £5 (Alternatively, you can go out and grab a breakfast in Wetherspoon in Omni Centre for less). Safestay Edinburgh is located just off the Royal Mile, in the heart of Edinburgh Old Town. It is a stylish and modern hostel and it offers beds in dorm rooms as well as private rooms. The beds in the dorm rooms (for 12, 10, 8, 6 or 4 people) have really comfy mattresses. It also has a great bar on site. Haggis is a local company which offers amazing tours for backpackers all around Scotland. They also have their own hostel and people love it. Haggis Hostel is located really close to the Baxter Hostel Edinburgh and the Waverley railway station and it’s just a few hundreds of meters away from the main street. 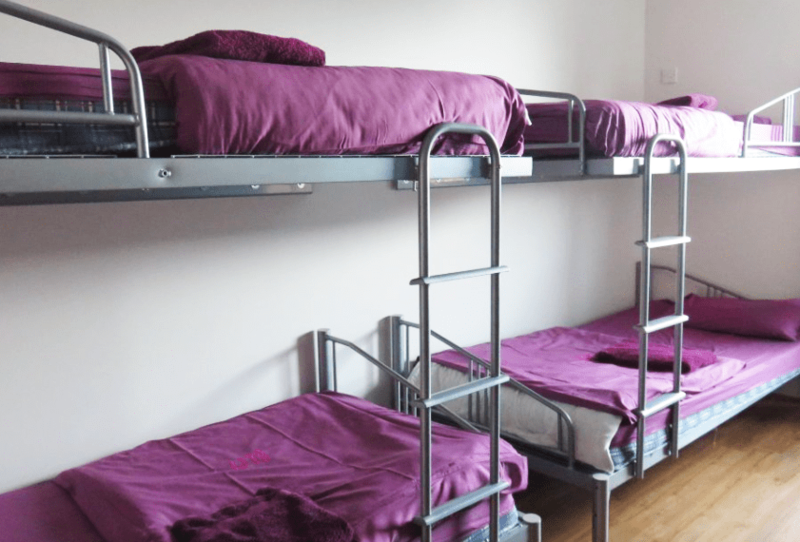 The interior of the dorms is very simple and basic, but the mattresses are really good in the Haggis Hostels – so don’t worry about your back, you’ll have a great night in Haggis Hostels. Castle Rock Hostel is one of the best-rated hostels in Edinburgh. Moreover, it’s adults-only (who brings kids to dorms anyway?). Castle Rock Hostel is located just 3 minutes away from Edinburgh Castle and the lively pub zone – Grassmarket. Also, you can walk to the railway station just in 12-15 minutes. The Castle Rock Hostel has a really lovely kitchen and the common area and it a perfect place to stay in Edinburgh on a budget. There are beds in dorms available as well as the private rooms with shared bathrooms. It’s also one of the most booked and demanded hostels in the city – don’t forget to book your stay there in advance! City Stay Hostel is located on the Queen Street, very close to Princes Street, the main street of Edinburgh. It offers a simple accommodation – beds in a wide range of dorms. The staff is very friendly in the City Stay Hostel and it also has a good spacious kitchen for the guests to use. Cowgate Hostel is a decent hostel in Edinburgh City Centre located in the main party zone of the city. Cowgate is the place to be if you like budget parties and cheap pubs. There are private rooms available in this hostel, however, the cheapest option would be a bed in a 6-bed dorm room. St. Christopher’s Edinburgh is located just in front of the Edinburgh Waverley station (the main railway station of Edinburgh) and it has a stylish reception room, 3-pound breakfast (not included in the room price) and a very nice bar. It also has some of the cheapest dorms in the city – you can stay there for less than £11, however, you’ll have to share with 20 other people. The rooms are very simple and clean. Didn’t like anything from this list? Or you realised you have a slightly bigger budget for your stay in Edinburgh? Check these 10 affordable hotels and B&Bs in Edinburgh! Or just check these deals for Edinburgh! Please note, that some of the links are affiliate – it means we will get a small commission at no extra cost for you. Planning to attend Edinburgh Festivals? Here are 10 things you need to know before visiting Edinburgh Fringe Festival. There’s a whole lot more posts about Edinburgh on Tripsget, so just check the entire Edinburgh category! Liked this post about 10 best hostels in Edinburgh City Centre? Share it on Social Media! Edinburgh prices: how expensive is Edinburgh, the capital of Scotland?